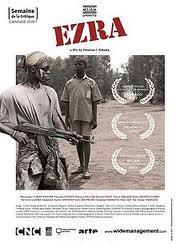 The movie centers around the questioning of a sixteen-year-old boy (Ezra), before a version of the Truth and Reconciliation Commissions that were created in Sierra Leone in 2002 in the wake of its civil war. Ezra's flashbacks are represented chronologically, covering the pivotal moments of his ten year service in the rebel army. Ezra is questioned by the commission about the fate of his parents, whom he stands accused of murdering at some point during the conflict by his own sister.